Item # 310237 Stash Points: 5,395 (?) This is the number of points you get in The Zumiez Stash for purchasing this item. Stash points are redeemable for exclusive rewards only available to Zumiez Stash members. To redeem your points check out the rewards catalog on thestash.zumiez.com. 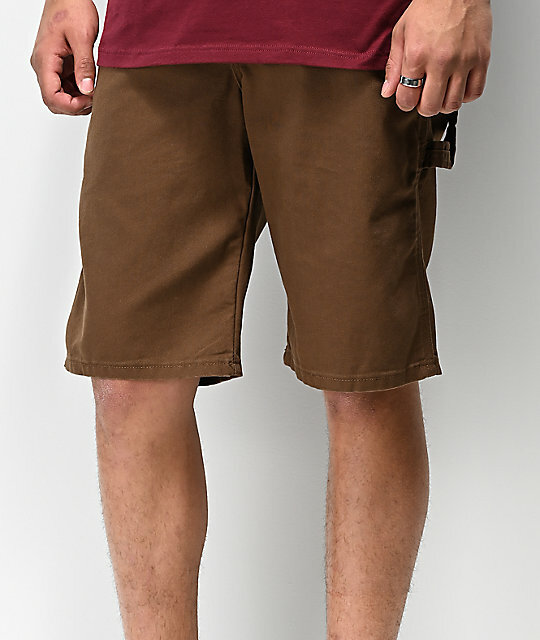 Sturdy, and ready for work, skating, or just chilling, the Tough Max Brown Carpenter Shorts from Dickies are your new go-to bottoms. Coming in a brown, 10 oz. 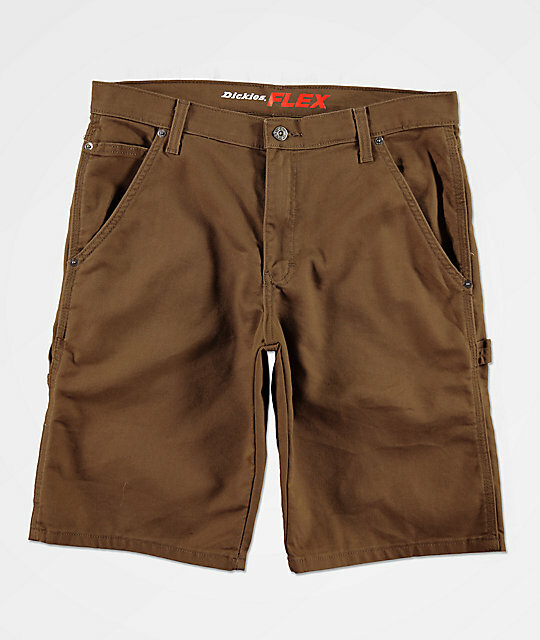 duck material, and offering a hint of stretch thanks to the Flex fabric, these carpenter shorts will keep you comfortable and ready for anything the day throws your way. 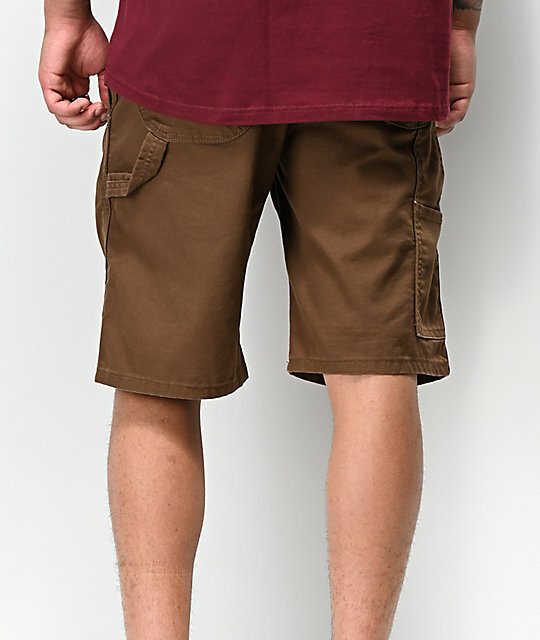 Tons of pockets are added for functionality, while the triple needle reinforced seams provide an extended life, making these shorts a must-have addition to your summer wardrobe. 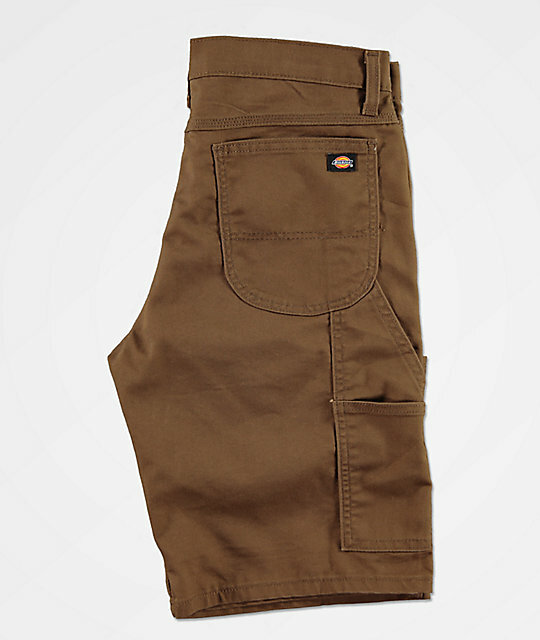 Tough Max Brown Carpenter Shorts from Dickies.